Art Boards™ Natural Fiber Art Panel with Claessens Belgium Linen. 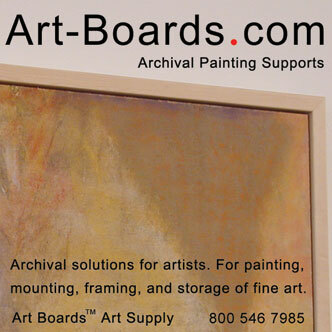 Art Boards™ Archival Mounted Oil Primed Linen Art Panels. Double Oil Primed Claessens #13 Belgium Linen Mounted Art Panels. Double Oil Primed Belgium Portrait Linen archivally mounted Art Panels. Oil Primed Linen is mounted with a reversible archival conservators adhesive. Linen is sized with rabbit skin glue, then primed with zinc-white and linseed oil. Linen Mounted Painting Supports have slots in the back for easy hanging. Linen art panel hangs in either direction without framing or with a frame. Click on photos for more information about the archival oil primed linen painting supports. Archival Painting Supports by Art Boards™ Art Supply. 100% Guaranteed Satisfaction or full refund on All Oil Primed Linen Art Panels.